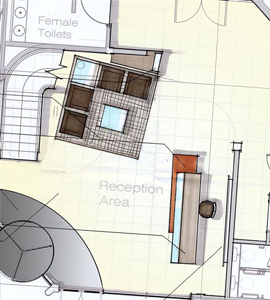 With any Office Design project, Space Planning is a vital and integral part of the process. Through listening carefully to your needs we gather the detailed information from management and representatives from your relevant departments to build a picture of your real world business focused requirements. 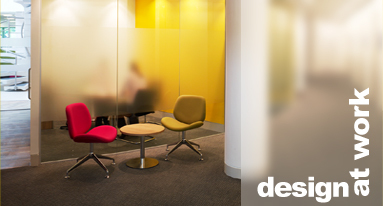 Once a full and detailed brief has been taken including headcounts, department sizes and structure, departmental adjacencies and shared facilities, space planning is the first exercise to start the office design process. 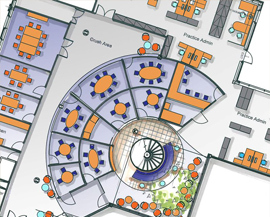 Space planning is the process incorporating individual’s workspaces, departments, and required shared facilities within a building or location to establish the amount and type of space required either in existing accommodation or potential new locations. Many organisations are also taking the opportunity to not only improve the efficiency of their office space plan but also to incorporate changes in culture and the space planning of an office facility becomes the enabler to achieve and underpin any new ways of working. Space planning for your office, whilst based on many practical client needs, is also a highly creative process evolving the framework for the interior design scheme to be developed.